Each panel is 37.5" long, so let's call it a yard. Please order in increments of 1 yard for one panel, 2 for two, 3 for three, and so on. 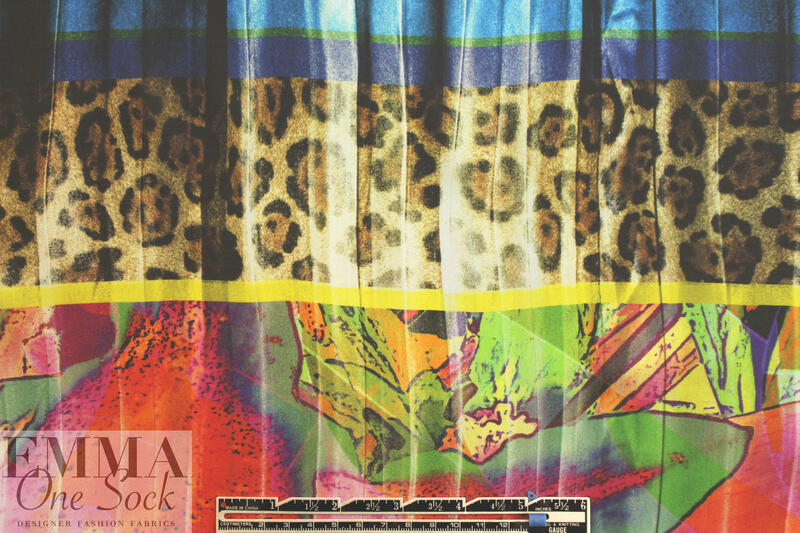 From a top designer (Vers@ce) and made in Italy, this is a beautiful quality digitally printed silk chiffon panel print, a semi-sheer and floaty woven with a lily montage design and a border of leopard print and edgy graphic. 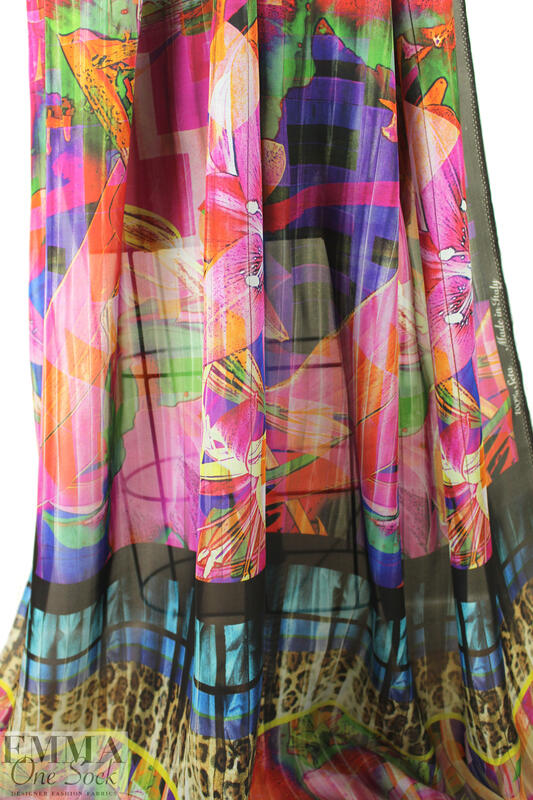 There is the illusion of a softly pleated fabric, which is in the print---the fabric is smooth and without any actual pleats. The colors include spicy orange, pink, lime, earthtones, shades of blue, etc. (PANTONE 18-1454, 17-3023, 18-3531, 19-1213, 17-4336, etc.). 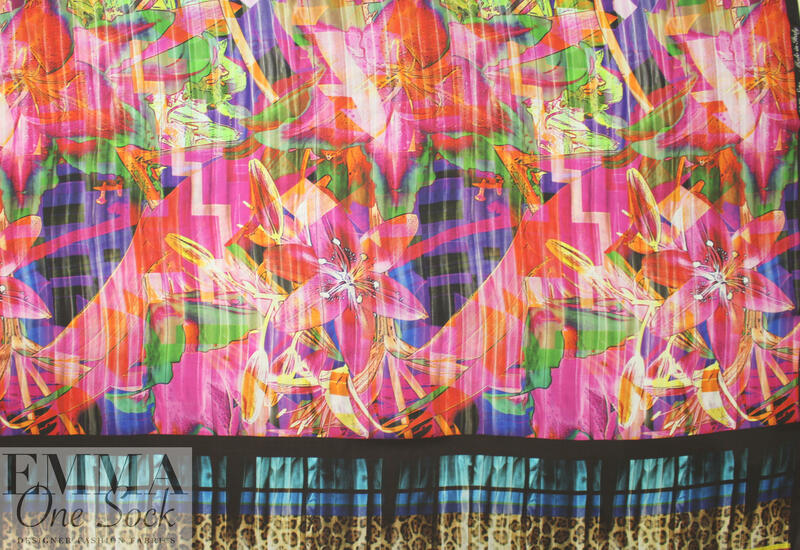 Perfect for a scarf, or line or layer for a blouse, tunic, kimono, dress, etc. Dry cleaning is best.